THEN: There was only one house phone that everyone had to share and could only be used for calls. NOW: We all get our own smartphones that do so much more than just keep us connected to the outside world. THEN: Not only did we have to carry around a bulky walkman/discman, we also had to carry around our physical stock of music ughhh it was like weight training wei. NOW: Spotify all day, errday! 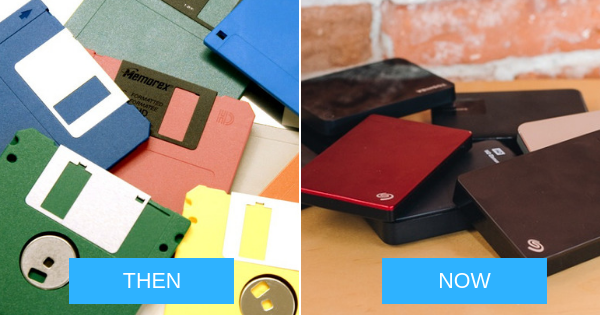 THEN: Just trying to save one file could require multiple floppy disks - how did we ever survive with only 1.44mb per disk?! NOW: Hallelujah for hard drives with huge memory capacities - we never have to worry about running out of storage space again whoooo! 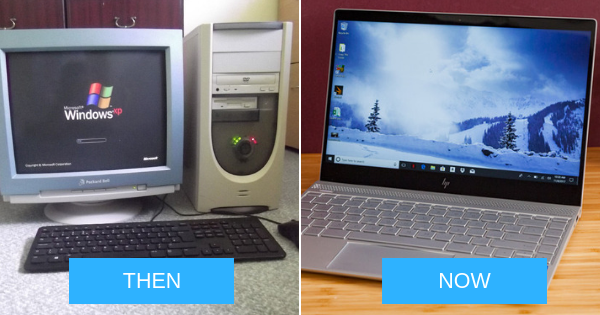 THEN: We have to wait long long for our desktop computers to boot up and connect to the dial-up Internet then wait even more for stuff to load. And gg if someone picks up the phone man. NOW: Everything is so fassstttttt - the only time we have to wait is when our laptops are updating. THEN: Hah wait lah, wait. Half a million years for your message to be scanned by the machine, and another half a million for the person to receive it. 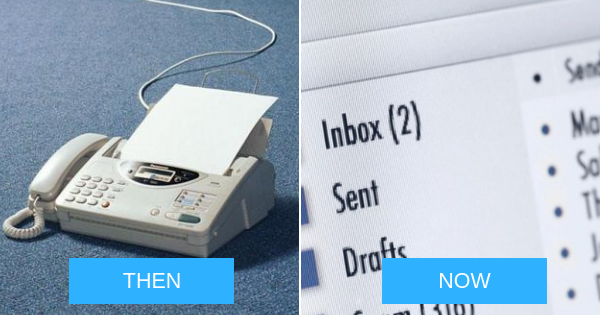 NOW: Thankfully e-mail is almost instantaneous and always at our fingertips. THEN: Knowing how to fiddle with the antennae to get it in jusssttt the right position for clear reception was a legit skill. And we only had like 4 channels to choose from lol. NOW: With digital and smart TVs, all we have to do is kick back, relax, and enjoy our favourite shows in HD. Plus, we get to endlessly binge-watch show after show! 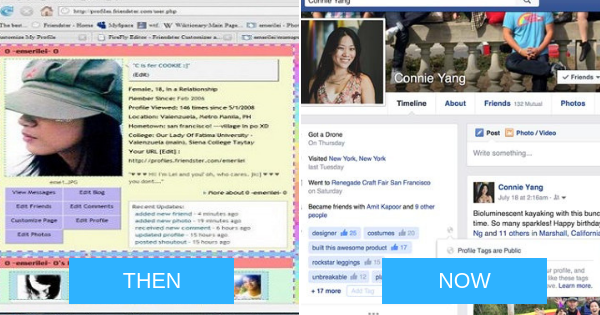 THEN: MsN MeSsEnGeR wAs OuR lYfE <3 We'd log on the second we got back from school and spend ages coming up with the perfect username and status. 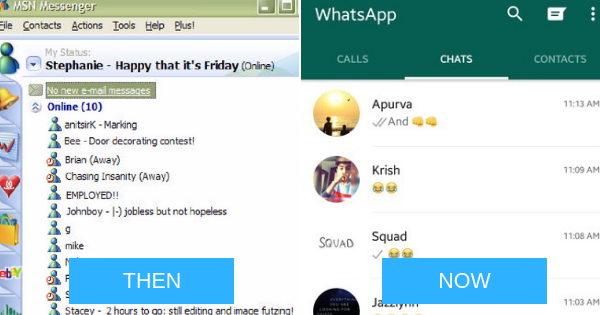 NOW: Between office, family, squad, and outing group chats, (not to mention all the private convos), we're never NOT on WhatsApp. THEN: We were super semangat to painstakingly customise our profiles with cool backgrounds, fonts, music, and also beg our friends to write us testimonials lololol. NOW: Between endlessly scrolling our news feeds and constantly checking for notifications, FB is our ultimate time-killer. 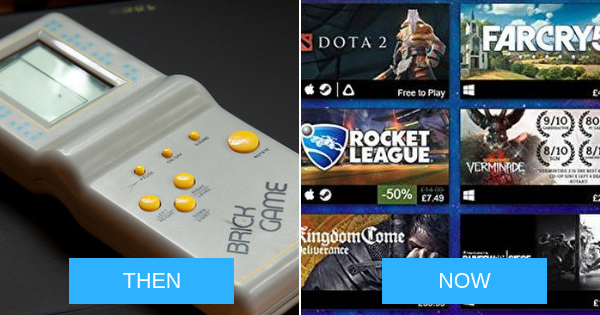 THEN: The good old brick game was our OG gaming console. If you were lucky, you got the ones that had multiple games in one device. NOW: No matter what kind of gamer you are, Steam's got you covered for all your gaming needs. 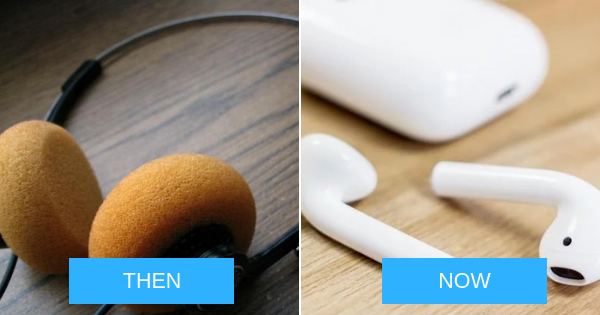 THEN: We'd proudly wear our earphones around our neck and use them until the sponge covering completely disintegrates or the wires fray. NOW: No more tangled wires and much better music quality thanks to wireless earphones but we gotta worry about losing them more easily. 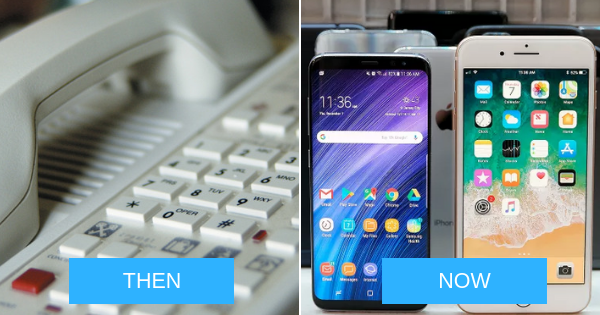 Technology has totally come such a long way and will only continue to evolve as the years go by. 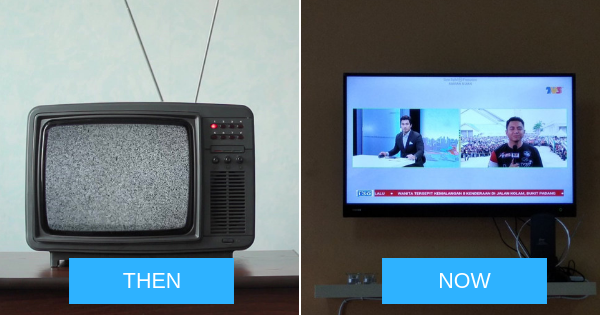 So if you’re still clinging to the past with old technology, it’s time to step into the future with myFreeview! If you haven't already heard of it, myFreeview is a non-subscription based digital broadcasting service. 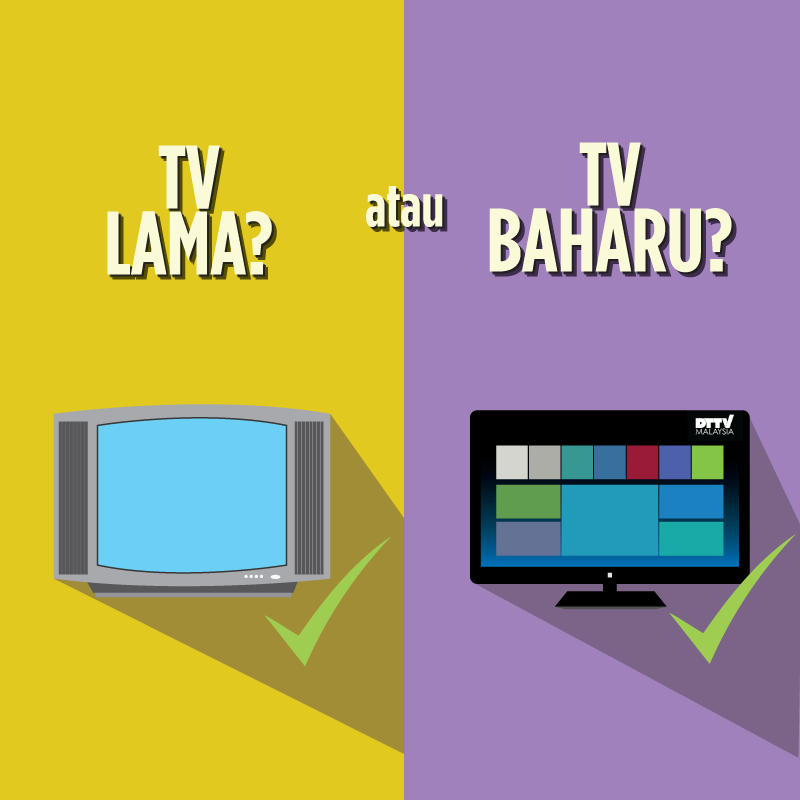 It is part of a government initiative to provide the public with the best TV and radio broadcasting services. And the best part is that it's non-subscription based and completely FREE! myFreeview prides itself on their superior audio-visual quality. With their sharp and clear high image quality as well as their superior audio quality, they truly live up to their tagline of 'Macam Betul Betul', promising that what you watch will seem incredibly realistic. 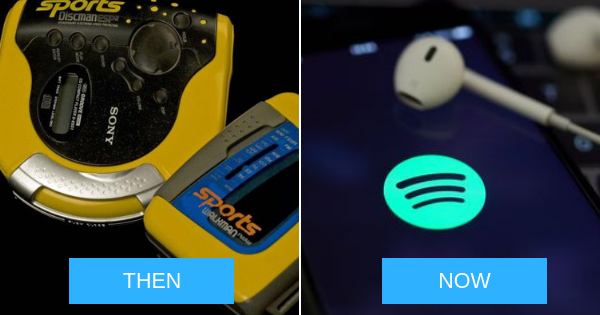 Remember How We Used To Listen To Music In The '90s And 2000s? Before fancy music apps and over-complicated music players.